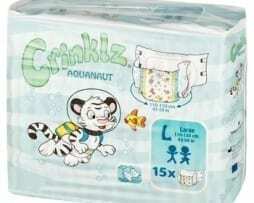 Bambino Classico Adult Printed Diaper Pack The Original ABDL Diaper! Bambino Classico Diapers are all plastic, printed diapers with impressive absorbency and comfort characteristics. Features a playful baby block print. A favorite in the ABDL community! 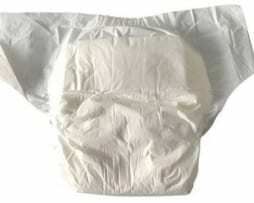 Designed for ABDLs - truly a designer Adult Baby diaper! Super absorbent, all-day and overnight protection - up to 25% more Polymer than the leading drugstore brand! Newly designed extra wide with four tab, extra strength hook tabs to ensure a comfortable and secure fit. Bare Medical Premium Unscented Adult Wipes are made from super-soft unscented fabric. Each piece of hypoallergenic and pH balance adult washcloth is alcohol, fragrance and latex free. These thick and soft wipes ensure comfortable skin cleansing without irritation. When care and the need to clean and care for and sensitive skin, Bare Medical Premium Unscented Adult Wipes are a great choice. 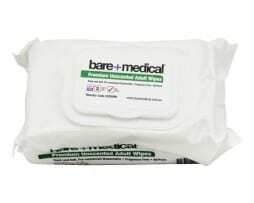 Bare Medical Premium Unscented Adult Wipes are perfect for those who are allergic to fragrances. BetterDry White Super Absorbent Adult Nappy BetterDry White Adult Diaper formally known as ComfiCare are renowned for their high quality and capacity. 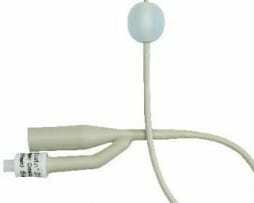 These products have a high capacity suitable for both night and day and night use and are not too bulky and thus less obvious when worn under clothing. They have 4 re-sealable tabs which land on a broad landing strip, with elasticated front and back around the waist and high leg guards to assist with leakage if flooded. They are noted for their quick absorption and are plastic backed which remain a firm favorite for many wearers The BetterDry product is available in Two sizes, Medium and Large and come in packs of 15 diapers per pack. A high quality product made in Europe Medium size fits waist 70cm-100 cm - Capacity of 4394ml Large size fits waist 100 -150 cm - Capacity of 5128mlBikini Style Blue Carousel Pattern Waterproof Pant Please note, that the pictures display, show the style, (Bikini), and the other picture shows the design of the print. Available in Small, Medium, Large and X large.